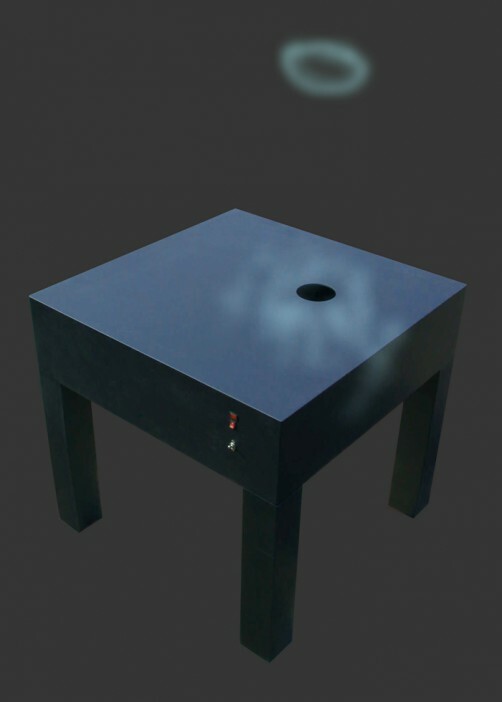 A black table with a round hole in the tabletop. 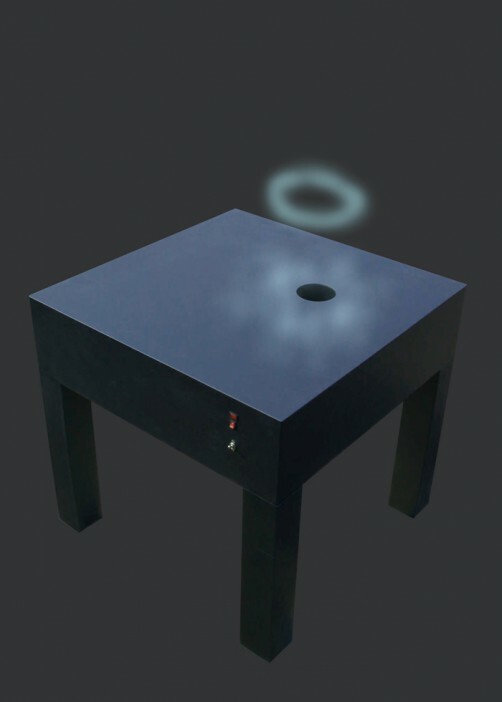 Every 15 seconds a perfectly round smoke vortex is released out of this hole accompanied by a low bass sound, which at the same time is the source of the creation of the smoke vortex. Made for exhibition The puffinclub a smokers hide-out that Tjeerd Veenhoven and Bert-Jan Pot created in Milano in 2003.